The second installment of Topps’ flagship baseball product continues, featuring another 350 base cards. While the set will highlight many of today’s stars, Topps is also honoring Ken Griffey Jr., who will likely make the Hall of Fame next summer, and Ichiro, who marches toward 3,000 hits, in two special commemorative inserts. In addition, collectors will want to take part in ‘Double Play,’ a new interactive trading card that gives fans and collectors a chance to win great prizes based on a player’s performance. 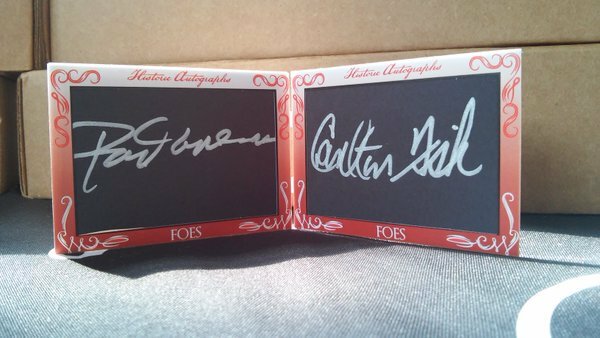 Historic Autograph Company presents its FIRST cut card product sized as a traditional baseball card. Classic match-ups, teammates, epic rivalries and great family ties are paired together in this 2016 release. Included are scarce stamp collector editions, exclusive non-baseball idols, modern baseball stars, limited black background cards and vintage prewar signatures. 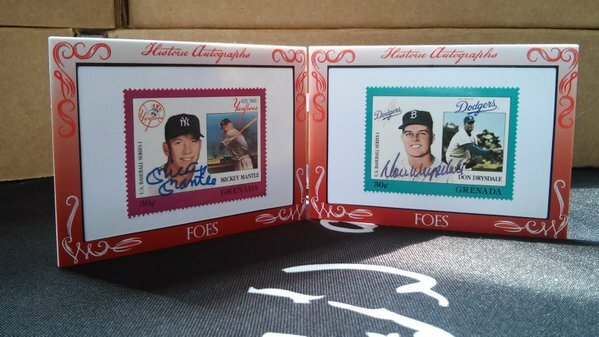 All signatures are individually stickered/certified by PSA/DNA for authenticity. Leaf isn’t done with Muhammad Ali just yet. 2016 Leaf Muhammad Ali Immortal Collection is the company’s first set dedicated to the all-time great since 2012. 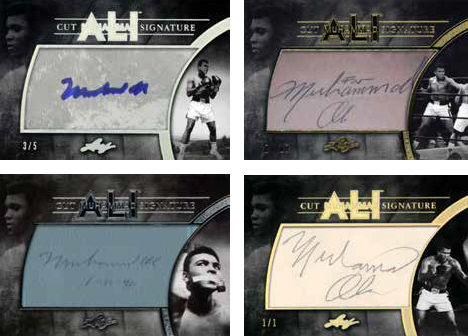 The high-end release features either an Ali cut signature or a memorabilia card. 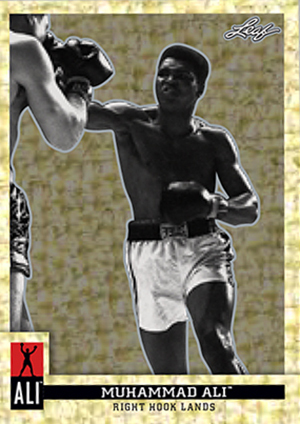 The 2016 Leaf Muhammad Ali Immortal Collection base set has just 30 cards with eight coming in each box. They’re done on Leaf Metal stock. This also means Prismatic parallels. They come in eight levels including a pair that are numbered 1/1.